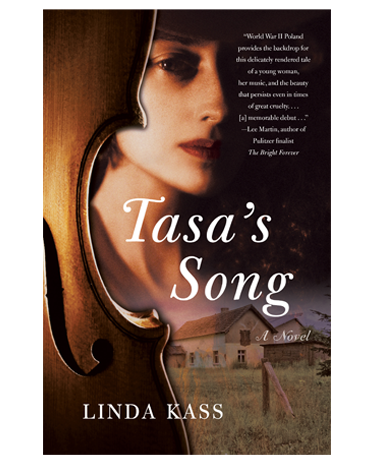 Linda Kass is the author of the new novel Tasa's Song. She has worked as a reporter, a corporate communications executive, and a magazine writing instructor. Since 2000, she's written columns for Columbus Business First. She lives in the suburbs of Columbus, Ohio. Q: You've written that Tasa's Song was based on your mother's life. What did you see as the right blend between the historical and the fictional? A: I don’t know if there is an exact blend between the real facts and those imagined for a novel based on truth, much like there may not be a single recipe offering the precise combination of eggs, flour and sugar that produces a delicious cake. As a journalist, I am attached to facts. But facts can undermine the human story to be conveyed in a novel. In fiction, we are exposed to the inner lives of people across time and place. Historical novels can illuminate history’s untold stories and allow us to experience a complex truth quite different from what we might glean from studying history books. So your question as to what is the right balance of fact and fiction is an important one, although the answer is elusive. In the case of Tasa’s Song, I believe it was critical that any reference to the historic and political underpinnings of World War II, particularly the Soviet control of eastern Poland from 1939-1941, and the later German assault eastward, were accurate. Since Tasa was a violin prodigy, it was essential that I understood how a violin is held and tuned, for example, and what music she might have played as her talent developed. The traditions and life of my settings (Polish villages and towns, Siberian work camps, post-war Vienna, to name a few) had to be accurate to establish the verisimilitude of that era on the page. While my characters—what they think and feel and say and do—are imagined, whatever they interact with—a radio, a farming tool, a violin, Polish food and drink, a vehicle, a coin—should be as close as they can to the real thing at that time and place. I checked even the smallest facts connected to Tasa’s concrete world while I was writing. Perhaps my journalist’s lens pushed me to check my facts a bit more. I have had readers ask me if I played the violin. I don’t. Q: How much did you know of your mother's life story as you were growing up? Was she a musician, as Tasa is? A: When I was a child, my mother shared bits of her past with me. Both my parents were immigrants. They had accents. They were different from all the parents I knew in my Midwestern neighborhood. That piqued my curiosity. I asked lots of questions. My mother told me about her village in eastern Poland—Podkamien—and that her father was a landowner. She was very close with her grandfather, who seemed to be the patriarch of the extended family, many of whom lived in the village center. And she spoke with great affection about an older cousin who tormented her. I knew that she left home at 12 and boarded in a town called Brody to attend a private Catholic school that also educated Jews. As I got older, my questions persisted and I began to understand that my mother’s survival was exceptional. The fact that she was hidden in a bunker instead of being transported to a concentration camp was another aberration when compared to the fates of the majority of Polish Jews. Then there was the element of her family’s location in eastern Poland. My mother was among the Poles oppressed by the Soviets for two years, and then by the Nazis. So this was what I knew: a dramatic outline of events and places, but no particulars. What did they care about? What were the nuances of various relationships? What conversations did they have with one another? How did they cope with the growing oppression? What was it like to live in a tiny village and what could it have been like to live in a bunker underneath a barn? My mother had a violin, but she was not a violin prodigy. I never saw her play a violin, and she didn’t keep one in our home. Q: How did you conduct your research for the novel? A: I began with first-person accounts from my mother. I taped interviews with her over a period of months in 1980 when I was a working journalist. I transcribed them on my IBM Selectric typewriter. Much later, when I wrote the first draft of Tasa’s Song, I also sought information from my mother’s younger cousin who had lived in the bunker with her, and who I based the character Tolek on. As the child of survivors, everything about World War II, the Holocaust and this lost period of Eastern European culture has always grabbed my attention. So my research began long before I knew I was doing research. I absorbed many books and films about the Holocaust when they came out. I suppose I had an itch, a curiosity that was never satisfied. And it eventually grew into the writing of this book. I did most of my detailed research while writing my novel, to confirm the facts of whatever I wrote into a scene. For example, in an early chapter set in 1933, I wrote a scene where Tasa overhears an interruption on the radio that cuts off Chopin mazurkas and polonaises to announce the election of a new German Chancellor. I immediately went on the Internet and read about Polskie Radio so that I understood how it was used then, what the radio boxes looked like, and so forth. In another scene, Tasa walks to school passing a bakery. I wanted to identify a specific Polish cookie and I came up with a pierniczki, gingerbread cookies made with honey. As I browse through Tasa’s Song now, I see items on every page that I had verified through some form of research—whether a specific piece of music mentioned or played, a salutation spoken in another language, garb that is worn, or literature that is read. There’s a great deal of information on the Internet today. I could open my browser, punch in some search words and dates, and within seconds have a queue of related articles and web links. Google allowed me to be efficient when I had to be, but whenever possible I spoke with contemporary experts—historians, musicians, religious scholars and others—to ensure accuracy. Photographs were enormously helpful. Early on, I found a photo of an old farmhouse and its attic through a Google search. It helped me imagine a scene where Tasa, at 10, explores old dusty objects with her older cousin, Danik. Google provided images of old radios, Soviet uniforms, or clothing worn during Polish winters. Since Tasa is a violin prodigy and music weaves through the narrative, I had to become extremely comfortable with the violin itself. I played piano as a child. My father, who was born in Vienna, instilled in me a love of classical music. I’ve attended countless symphonic concerts and observed skillful string soloists. Beyond this baseline comfort level, I watched videos online until I knew how to hold the bow and how to tune the violin. I checked factual details with several musician friends. I listened to an enormous amount of classical music and read about the composers and individual musical pieces in order to pick out the perfect melody to parallel Tasa’s emotional state in any scene. I created a playlist of music in the novel, at first just to keep track of it all. I included this chapter-by-chapter listing of musical references in the back of the book. There are many historical documents published by the Holocaust Museum. I consulted books about Poland, World War II, the Holocaust, Vienna (where the family lives toward the end of the novel), and about Jewish life at this time. I’ve included many of my resources on my website. There was a point when I need to know about deportations to Siberia. I found a wonderful book, The Eagle Unbowed, Poland and the Poles in the Second World War by Halik Kochanski, where I learned about the timing of deportations and what life in these camps were like. While I was writing I needed to be grounded in place because my characters move around quite a bit. I studied maps carefully and, at one point, began to rough out locations and distances to better understand the journeys my characters undertook, and how long those trips might have taken them (depending on whether they traveled by horse and wagon or cattletrain). I eventually shared my drawings with a terrific cartographer who produced three maps to parallel the settings in the three parts of my novel. A visit to Poland was the catalyst that led me to put pen to paper. In the fall of 2011, my husband and I visited our daughter during her semester in Berlin. We took a side trip to Krakow, my first trip to Poland. And we visited Vienna. The Polish countryside, the old square in Krakow, and the cultural sites and parks in Vienna gave me a flavor of the places I could later re-imagine. Q: What do your family members think of the novel? A: They are all quite enthusiastic. My father read the first draft and recently read the final version. He gave me the highest compliment when he said he was amazed how well I conveyed a period of time and a place that I had never lived. I read three early chapters to my mother several years ago when she was in better health. She liked it very much and said it felt authentic to Polish life. Then she acknowledged the character of Tasa as unique and distinct from how she was as a young girl. Her assessment of Tasa as fictional was exactly what I had hoped she would say. Q: You've written that you're now working on a novel based on your father's life. What can you tell us about that? A: I actually wrote my first chapter of A Ritchie Boy when I put down draft one of Tasa’s Song to get a bit of distance from it before revision. The time spent getting Tasa’s Song ready for publication has considerably slowed the writing of my second novel. To date, I’ve completed four chapters of what now is a novel of connected stories that revolve around a character named Eli Stoff. The inspiration for this character does come from my father. As with Tasa’s Song, the rough outline is true, but the connective tissue is imagined. 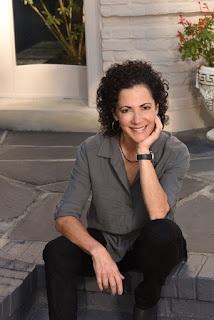 My protagonist is a Jewish boy growing up in anti-Semitic Vienna in the 1920s and ‘30s, a teenage immigrant adjusting to life in the Midwest as World War II begins, and a young man recruited and trained by the U.S. Army as a military intelligence officer fighting the very enemy he barely escaped in 1938. I’m experimenting with using different points of view in each chapter and I’m trying to keep each chapter as a self-contained story. Together, I hope they will weave a rich portrait of a man whose character is built by factors out of his control and the challenges he faces as he moves away from his past. A: As I’ve been reflecting here on my process of writing an authentic historical work, I thought about several instances when I had overwhelming moments of revelation at some discovery born while I was researching. One I’ll share here has to do with one of Tasa’s uncles—Judah Riesmann—an attorney, and the father of Tasa’s older cousin, Danik. In my novel, Judah is arrested shortly after the Soviets take over the eastern swath of Poland in 1939. This was not an uncommon occurrence. Attorneys were targets because, inevitably, they had a case or two against a communist at one time or another. My mother spoke to me of an uncle who was an attorney and who was arrested and never seen again. That is who I based the character of Judah on. As I researched into this period of Soviet oppression, I came across the Katyn Massacre. By following the telling details into the past, I slipped from the present: here was a mass execution carried out by the Soviet secret police, the NKVD, in April and May of 1940. A massive ditch filled with bodies of thousands of Polish officers, attorneys, priests, landowners and other “enemies of the state” was discovered three years later near the Katyn Forest in Russia. I remember getting chills when I read about this. I knew at that instant that this had to have been the actual fate of my great uncle.